Drew Pontius, 8, Logan Scholten, 4, and Braxton Lantzer, 5, pose as the first, second and third place winners, respectively, of the second annual Pumpkin Race in Middlebury on Saturday. 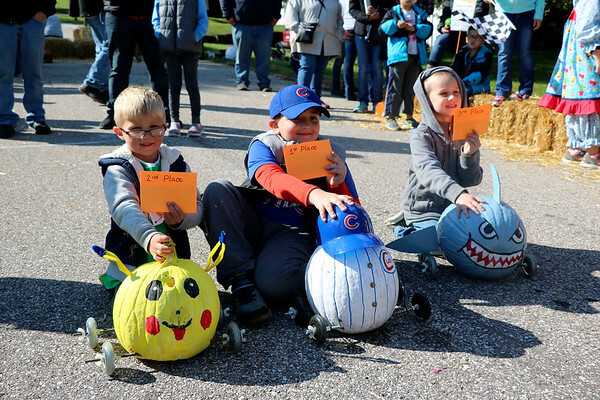 Pontius raced a Chicago Cubs pumpkin, Scholten's pumpkin was decorated like Pikachu from Pokemon. Lantzer had a shark pumpkin.